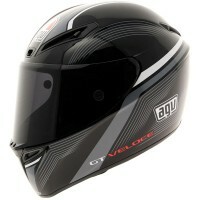 Price Range £224 - £248Price RangeSimply drag the slider bar to set your price range. 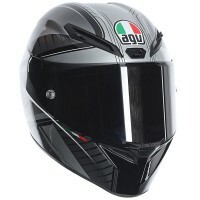 The all new AGV GT Veloce is constructed from SSL (Super-Super-Light) Carbon-Kevlar and is based on same helmet worn by the top class Moto GP rider Valentino Rossi (Pista GP). 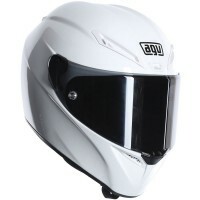 With an all new shell shape and aerodynamically tested venting system hollowed directly in the shell, this helmet is equally suited to the road as well as the track. 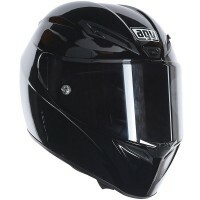 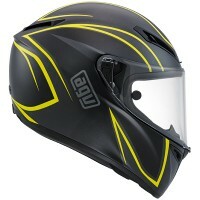 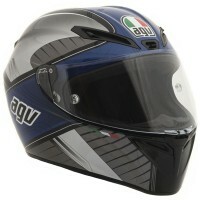 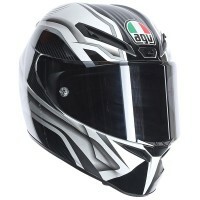 The AGV GT Veloce has a Cool Max removable and washable interior with hygienic treatment. 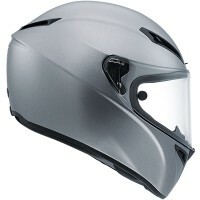 It has a Double D retention system and a clear, flat, anti-scratch, Pinlock ready polycarbonate race 2 visor with XQRS (Extra Quick Release System) and tear-off system.